The compact vertical launch 3-cell ExLS system is specifically designed for smaller naval platforms that are unable to accommodate the larger 8-cell MK 41 Vertical Launching System (VLS). ExLS has also been designed to fit inside the MK 41 launcher (i.e. ExLS Host), offering flexible, adaptable installation solutions for larger ships to achieve high combat mass within a small on-board footprint. «The success of these trials is testament to the hard work and close co-operation of the MBDA and Lockheed Martin», said Joe DePietro, Lockheed Martin vice president of small combatants and ship systems. 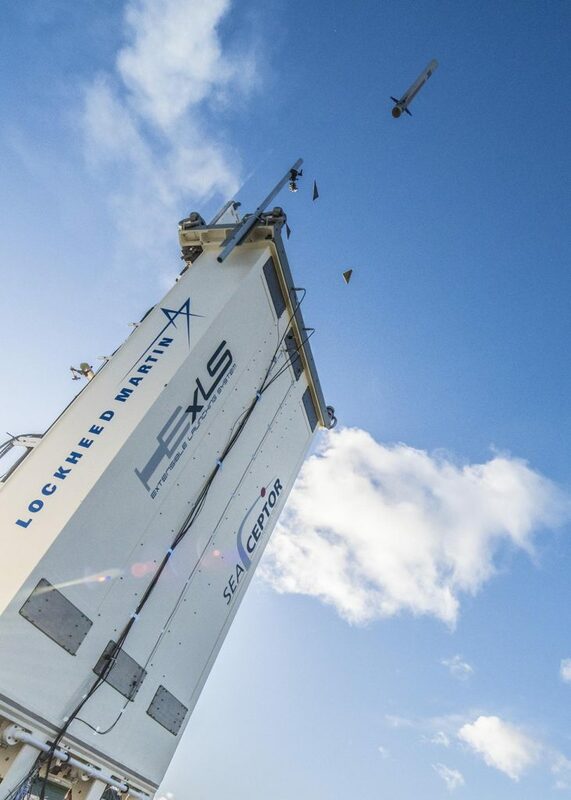 «A launcher within a launcher, ExLS uses CAMM canistered munitions with its qualified launch electronics to cut integration costs by more than 50 percent. It is a mature design that when paired with CAMM offers a low-cost alternative for integrating new missiles and munitions into current and future surface combatants». Paul Mead, Head of Business Development at MBDA, said: «These trials have further demonstrated the maturity, reliability and safety of the CAMM vertical launch system from both 3-cell ExLS and ExLS Host/MK 41 and follows the highly successful operational trials of CAMM by the Royal Navy in 2017. The pairing of CAMM with the 3-cell ExLS launcher is a natural choice, providing a flexible launcher solution available now for naval platforms to take advantage of the high-performance air defence capabilities and compact size of CAMM with ExLS. Other MBDA weapon systems, compatible with ExLS, are planned for the future».